Some very notable changes to youth football, in an effort to make the game safer and preventing families from getting their kids out of the league. As more and more families keep their children away from youth football because of safety concerns, the sport’s governing body is attempting to stem that by introducing a new package of rules changes. The new format brings the game much closer to flag football in order to quell some of the current format’s inherent violence. 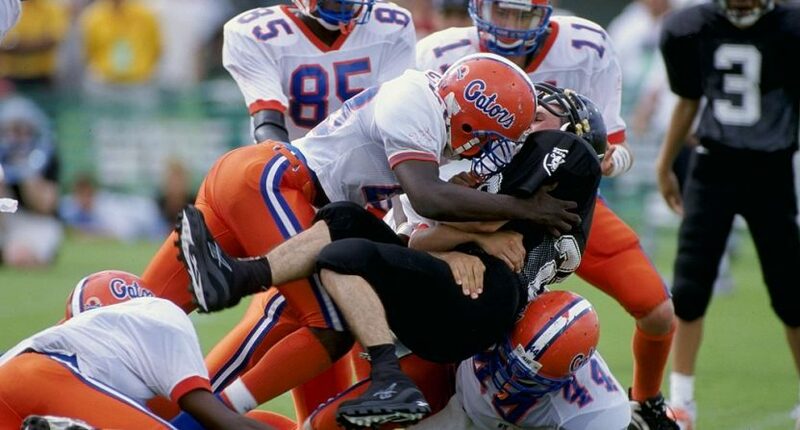 Whether these changes will do enough to assuage concerned parents remains to be seen, as the link between traumatic brain injuries and the repeated head trauma from football continues to grow and grow. Flag football participation has increased by 8.7% over the past year, Hallenbeck added. In contrast, participation in youth football has fallen by 20% since 2009 although there was a small rebound of 1.2% in participation in 2015. A recent Reuters poll suggests that 73% of parents surveyed would either be “very likely” or “somewhat likely” to let their kids play football. The first scrimmages with these new rules were played back in September with youth teams in Cleveland, and the initial evidence was positive, although more work will still be needed. “By bringing the field in, first of all, I think there’s better form tackling because less speed, less momentum, more one-on-one tackling,” said St. Ignatius High School Head Coach Chuck Kyle. “I didn’t see as many pileups, because there’s seven people” on a side, not 11. “Not on my watch, and clap your hands if you’re with me on that,” he added, to loud applause. However, most at the convention believe that the modified rules package will help the sport become safer for the players and allay concerns many parents have about its safety.